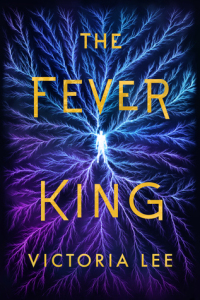 Check out the book, The Fever King by Victoria Lee , as featured in this post from the books and such blog. In the former United States, sixteen-year-old Noam Álvaro wakes up in a hospital bed, the sole survivor of the viral magic that killed his family and made him a technopath. His ability to control technology attracts the attention of the minister of defense and thrusts him into the magical elite of the nation of Carolinia. The son of undocumented immigrants, Noam has spent his life fighting for the rights of refugees fleeing magical outbreaks—refugees Carolinia routinely deports with vicious efficiency. Sensing a way to make change, Noam accepts the minister’s offer to teach him the science behind his magic, secretly planning to use it against the government. But then he meets the minister’s son—cruel, dangerous, and achingly beautiful—and the way forward becomes less clear. The First Review Is In! Thanks for the reblog, Don!